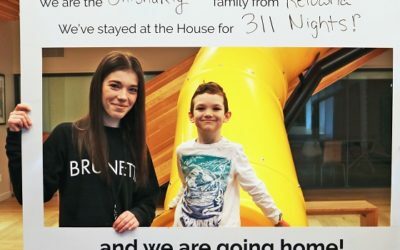 Like most families, the Iretons never expected to stay at a Ronald McDonald House, but since August 2018, RMH BC has been their home away from home. 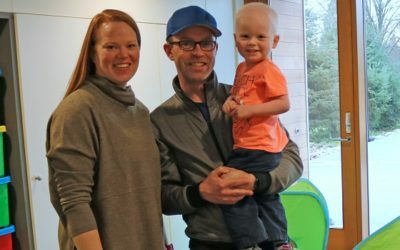 While 3-year-old Weston receives treatment for leukemia, RMH BC helps take care of the whole family so that they can focus on what’s most important: helping him to heal. We first introduced you to Tristyn Ranger and his family in May 2017, while Tristyn was spending his grad year of high school undergoing cancer treatment far away from his Kelowna home. For Tristyn, RMH BC helped to bring his family together so they could support him when it mattered most. Find out how he’s doing now! 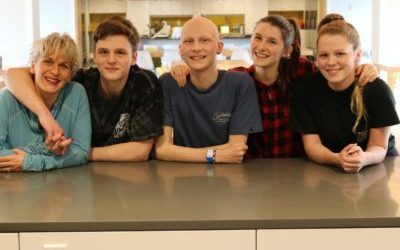 “Oikos” means “family” in Greek – and the group of friends who call themselves Oikos have become an important part of the RMH BC family in the past four years. 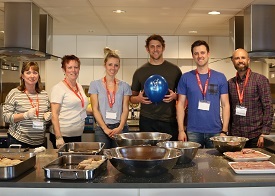 This April, they will be cooking their 50th meal in the House! “This community of people – it’s my family,” says mom Katie Shishakly, “and RMH is not just a home away from home. 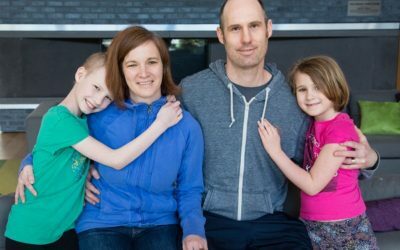 It is my home.” When Katie’s 5-year-old son Evan developed a severe blood infection, everything changed for this mother and son from Kelowna. Over the past year, Evan has beaten impossible odds with his mom by his side and the support of his friends at RMH BC. The music therapy program at RMH BC helps kids and families to express themselves through music in both individual and group sessions. 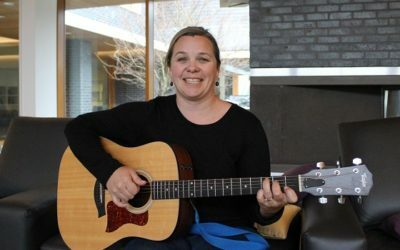 We caught up with Erin Parr, RMH BC music therapist, to find out what she loves about music therapy and more. 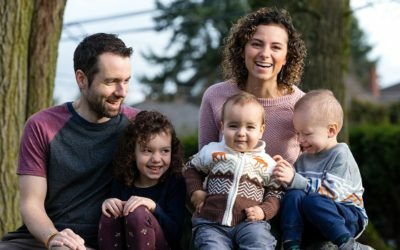 When 4-year-old Gabe Negrieff was diagnosed with cancer, his family didn’t know what to expect when they arrived in Vancouver. 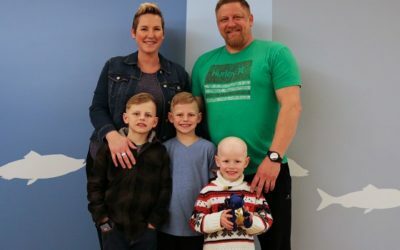 During this incredibly difficult time, Ronald McDonald House BC and Yukon became a second home for Gabe and his brothers and a comforting refuge for his parents. We first introduced you to Annabelle Edl and her family in June 2017, after they had spent 8 months at Ronald McDonald House, 9 hours away from their home in Nelson, BC. Annabelle, then 8 years old, was receiving intensive cancer treatment and her family found a home away from home at RMH BC. Find out how she’s doing now! “Thank you” is the message that Connor and his dad Eric have for everyone who supports Ronald McDonald House BC and Yukon. 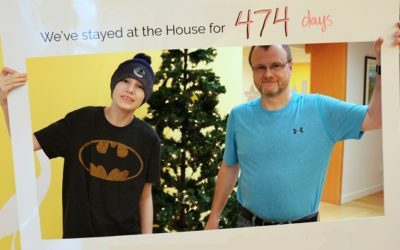 After Connor was diagnosed with a brain tumour at age 11, he and his dad spent 474 nights at RMH BC, 600 KM away from their home in Northern BC. Four-year-old Leland Funk loves to ride his four-wheeler and spent the last year battling leukemia far from home. Find out how RMH BC helped to keep his family close and give him space to be a kid.